There's no denying that hardwoods are the cream of the crop when it comes to floor covering. When you enter a home that has the rich, warm look of hardwoods it instantly feels like you're in the lap of luxury. Nothing compares to the charm and deep character a hardwood floor provides. 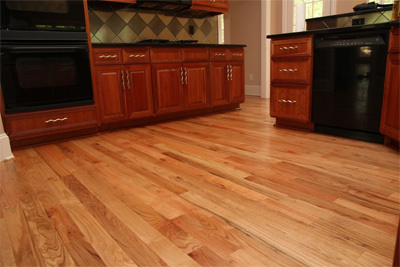 Today it's easier than ever to upgrade to hardwood flooring in Suwanee, GA. The floor design experts at Flooring Service Group have been serving Suwanee and the surrounding areas for nearly a decade. We've been beautifying homes and businesses alike with our unique approach to style and design, while our customer service is second to none. Seeing the classic timelessness of any hardwood floor really sets the tone for the d?cor and theme in a home. Whether it's rough and tumble bamboo in a feng shui setting or dark, solid oak with a rustic note, hardwoods have a way of stimulating your visual sense. The smooth tones of any hardwood are enough to melt away the troubles when you get home from a tough day at the office. Enjoy the ambiance as it takes you away to a time that is simpler yet more sophisticated. Make your Suwanee home a hardwood home. There really is no equal when it comes to quality and design with hardwood flooring over carpet, tile and laminate flooring. With so many variables to consider when replacing old floors or re-finishing your current hardwoods, it's easy to get lost about which options will be gorgeous to you, but still add value to your home. Our Suwanee hardwood flooring team is prepared for all ideas that you may have when it comes to the design and flow of your floors. Some things to consider are theme, color, style, shape and layout. It sounds like a lot, but the wonderful professionals at Flooring Service Group can make this one of the easiest processes you've experienced while upgrading your home to the certain luxury of natural hardwoods. Fair price and great work. I made the switch from carpet to wood and the entire house has a new look that I love! Thanks for all your hard work! I've had hardwood for years but my floors have taken a beating. Simon and his team refinished them and now every room looks like it has new hardwood! I would recommend this guy to anyone. My neighbor recommended Flooring Service Group to me so I gave them a call. Very reasonable pricing and I was impressed with the quality of both their work and service. Great job from start to finish.